When John Logan’s play Red ends its West End revival this Saturday, audiences will remember Alfreds Molina and Enoch for their star turns in the production. Few, sadly, will remember the towering performance of Ian Drysdale. 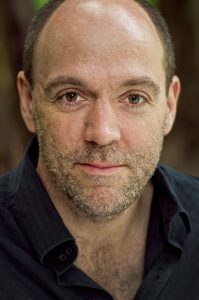 Drysdale has been Molina’s understudy during the revival’s recent run. A few weeks ago, shortly before the Saturday matinee, he was told he was going on in the lead role of artist Mark Rothko. Molina had arrived at the theatre for the performance only to feel unwell shortly before curtain up. Without time for any rehearsal, Drysdale was told to get into costume as he was on for both the matinee and evening performances. I happened to be there for his tour de force that Saturday evening. Understudies have been in the news of late. Ryan Pidgen earned rave reviews stepping in for lead actor Matt Lucas on the press night of the Chichester Festival production of Me and My Girl. This followed Steph Parry, an understudy in 42nd Street in the West End, who had to step in as the lead in Mamma Mia! at a neighbouring theatre mid-performance. Actor dashes out of 42nd Street to save nearby performance of Mamma Mia! Drysdale’s equally accomplished last-minute performance, together with the enormous demands placed upon him, went unreported. His appearance reflects the real life of an understudy covering a lead role: if needed to go on, experiencing the huge pressure of playing the part through to the euphoric relief, with hugs and pats on the back, when it’s over. The next night it’s back to waiting in the dressing room, with the producers grateful but hoping it does not happen again. Of course, that is the job the understudy has signed up for but it’s one that means their appearance on stage may happen at short notice. So it is unlikely there will be any family, agents, casting directors or press able to witness it. This makes understudying a deeply personal and even lonely experience where, a few days later, the star is back as if nothing happened. I have been thinking a lot about how this must feel after watching Drysdale’s performance. As I have previously written, I hold enormous respect for the work of the understudy. However, Drysdale’s performance in Red particularly highlights this because it is half of a two-hander. This makes what Drysdale achieved all the more monumental. The part of Rothko is also that which drives this play forward. What I found most interesting, having previously seen Molina and Enoch perform together, was how, for my money, Enoch’s performance opposite Drysdale’s grew even further. Possibly that’s the result of adrenaline and the palpable danger of being on stage for 90 minutes opposite one actor with whom you have not spent weeks rehearsing, and who has never played the role live before. The greatest compliment I can pay is that these performances were equally balanced. Enoch showed another important aspect of acting, which he had also displayed opposite Molina: generosity and trust. Drysdale’s success came from the belief of his co-star that he could do it. For any understudy about to play the lead, it is a formidable task. But in the case of Red, it is greater still due to the directorial decision to have Rothko seated on stage with his back to the audience during the preset. Not only is Drysdale sitting there contemplating what he has to do, but it is magnified when he has become one half of a show sold on two star names that’s had rave reviews. Waiting on stage as the audience files in, the understudy will no doubt hear the disgruntled mumbles of a disappointed Saturday-night crowd as they discover an indisposition slip in their programmes. That could easily dent the confidence of any understudy in the Herculean challenge awaiting them. Or, as in the case of Drysdale, they simply light their cigarette, take a deep puff signalling the start of the show, stand up and attack it. That’s not simply the skill of a good understudy – it’s the skill of a good actor. It also highlights the importance of the understudy rehearsal. These happen weekly on every major show with the understudies running through their roles on stage without any production elements, usually with the stage manager who may be reading in for various parts. Drysdale demonstrates that it takes a lot of courage to be an understudy. I do not know him, but I will certainly be watching out for his name in the future, and hope that Red’s director, Michael Grandage, richly rewards him with a decent nightly role in one of his future productions. 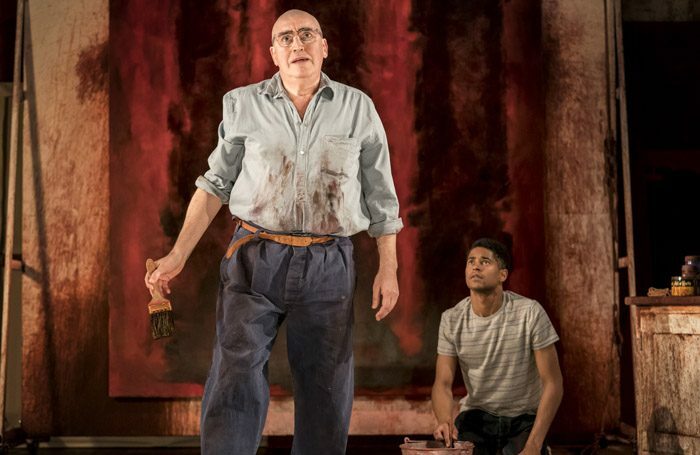 Drysdale’s performance as Mark Rothko in the West End production of Red is one you will not read reviewed by any critic, but on Saturday, June 30, 2018, audiences saw him walk out on stage every bit the West End leading man, and that deserves to be documented.